With the alarming proportions, diabetes is assuming across the world and especially India, it is indeed heartening to see the husband wife duo, Seema and Manoj Pinto, proactively share their experience to inspire people to cope with diabetes through healthy eating and the Diabetic Food Trail is a positive step in that direction. The Diabetic Food Trail 2016 is all set, to begin on November 12. The aim is to offer Diabetics, Pre-Diabetics and Health conscious individuals, a wonderful culinary experience at over 200 restaurants across Mumbai, Delhi, Chennai, Bangalore & Pune, where Celebrated chefs from acclaimed restaurants across the country will get a chance to showcase their culinary talents to an all new set of target audience that did not have many options for healthy and diabetic food earlier. I was fortunate to have experienced this in Mumbai at Meluha-The Fern Hotel in Powai, where, Executive Chef Parimal Sawant, along with his team demonstrated several recipes including a salad, soup, main course and dessert which are healthy and suitable for diabetics. The demos were fun and interactive, with Seema constantly asking chef pertinent questions and the chef sharing helpful tips. Apart from being simple recipes, what appealed to me was that the ingredients were ones which could be easily procured as opposed to exotic ones usually suggested. The chefs at Meluha-The Fern exhibited a great deal of innovation in crafting those recipes. Furthermore, I was glad to know that the Diabetic Food Trail will also introduce a special Healthy Dessert Trail which will allow diabetic patrons to sinfully indulge in their guilty pleasures-desserts as these desserts, do not contain any processed sugars. The aim of this masterclass is to help individuals understand the ingredients, nutritional values, read packaging labels, learn exciting recipes which will help elevate the eating habits of diabetics without compromising on taste. These masterclasses will be held by renowned nutritionists and chefs across the 5 cities. Some of the participating restaurants include Sassy Spoon, Zaffran, Copper Chimney, Lemon Leaf, Boveda, Fern Hotels, Renaissance-Powai, Woodside Inn, Mirchi & Mime, Smoke House Deli, Faasos, to name a few. That’s not all, Seema has put together some well-researched recipes in a small book which can benefit diabetics a great deal, which you can enjoy cooking too. So eat healthy and stay fit and yes, diabetes can be controlled with eating right, apart from exercise. Salads are my weakness and Ministry of Salads sounded just like what I needed on this hot and humid Mumbai summer afternoon. So I trooped off to Bhulabhai Desai Road and lo behold, was pleasantly surprised to see this small, but cute and intimate café like eaterie. Salads galore, wraps, sandwiches, healthy juices. The display shelves were replete with the chicest of fresh ingredients and those looked so inviting. Behind the counters, the chefs were deftly tossing salads and preparing sandwiches. Looked like a lot of hard work. What’s more, just like make your own pizza or a wok these days, one could make one’s own salad. And there was a lot to choose from. Base, grains, exotic, comfort, pickles, muscle, being some of the several interesting categories. Strictly vegetarian, the place has so much on offer, that even carnivores will not complain. 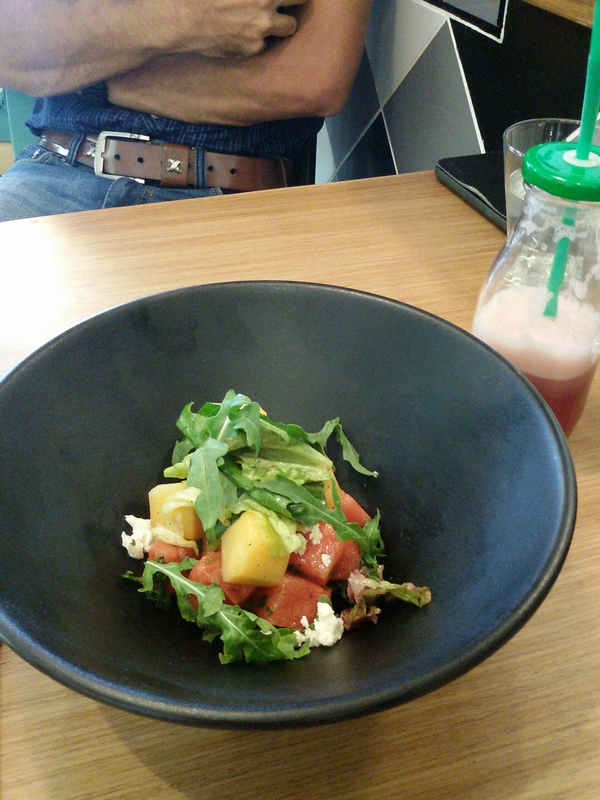 I settled for a watermelon and feta cheese salad. One of my all time favourites. Fresh and light, but not extraordinary. The use of rock melon was clever and it complimented the water melon in more ways than one. The Big Mix with green apple, rocket leaves, cherry tomatoes, broccoli et al, boasted of a distinct roasted flavour and appeased my palate. The walnuts offered the right element of crunch and the tart green apple was palate pleasing. The lemon mirin dressing further enhanced the flavour quotient. The unique feature of each salad was their freshness and superior quality ingredients. That’s what made it stand apart. 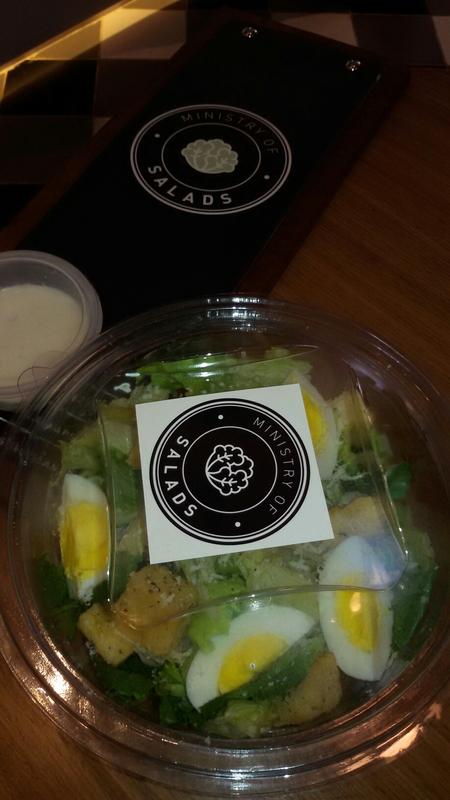 An Egg Caesar salad with its melange of flavours was delightful and filling. Black Eye, Shabdkosh, Lentil Mental, were other options which caught my eye. Next time perhaps. Apart from Signature Salads, there are sandwiches and wraps too, if you are still hungry. The Pesto Wich sandwich in a multigrain bread was equally a treat for my taste buds. Laden with mozarella, zucchini, tomatoes, bell peppers, there was something familiar and comforting about it. Very home style. The Leb Mex wrap, was a pleasant surprise. Made of a spinach dough, the wrap felt healthy from word go with hummus, zucchini, spinach and jalapenos. It could have been a little more substantial I thought. Felt a little inadequate, given the price. My Pomegranate, ginger and celery cleanser was freshness and wellness personified. Loved it from the first sip. Green apple, carrot, lemon and honey was equally a healthy potion. There are a plethora of options to suit each one’s taste preferences. So no question of boredom setting in. Apart from the table menu for a dining in experience, there is a takeaway menu. The salads are exceedingly well packed and not mercilessly stuffed in a box. I was happy to witness that. Lucky people in that area who can order in every other day. 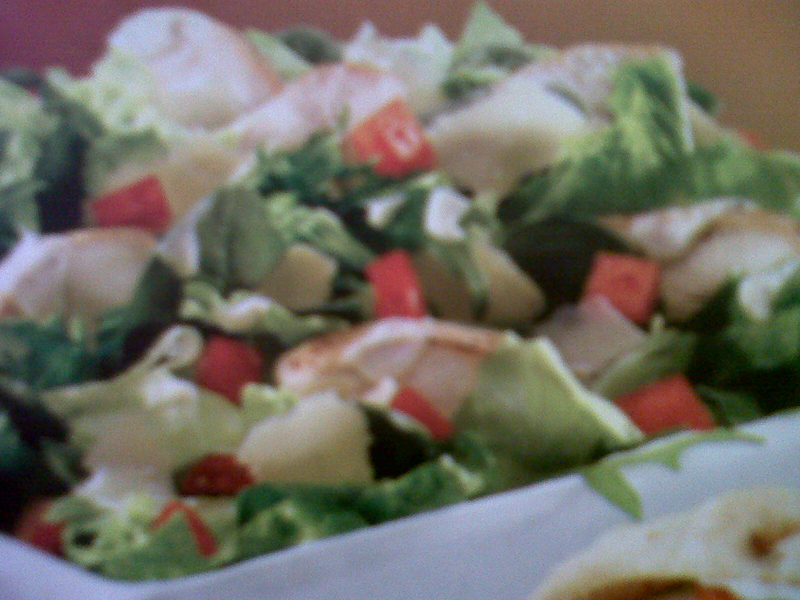 A global concept of a place dedicated to salads this place will be a haven for the health conscious. A Glitzy Array of Food n Fun! My Sunday turned out be just what the Doctor ordered. Yes, I experienced the ‘Dr. 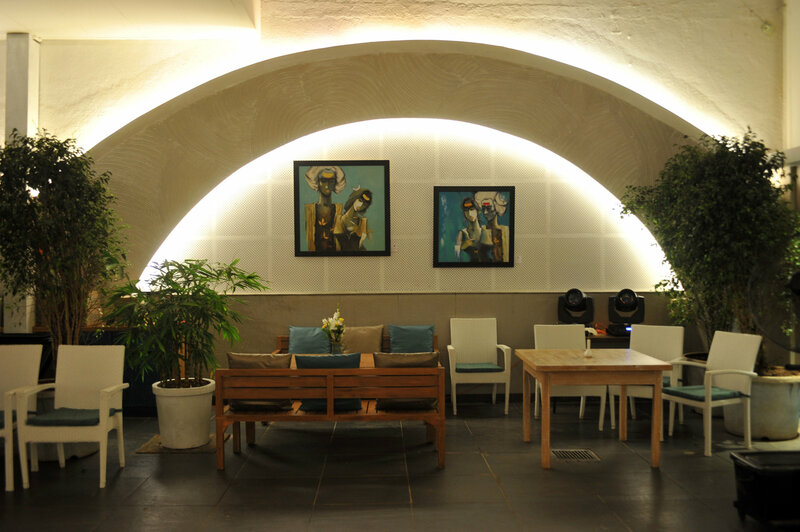 Feel Good’ event at Flamboyante, Sobo’s much loved neighbourhood restaurant housed in the cultural precinct of the World Trade Centre. The place was buzzing with frenetic activity as I stepped in. There was shopping, food and lots of fun. The exhibitors were in keeping with the good health theme. At least most of them. Raw Pressery (Healthy, delicious detox cold pressed vegetable and fruit juices), Samskara (multi brand all-organic products. Ranging from health food and groceries to body care and wellness products), Green Tokri (Jams, salad dressings, spreads and sauces all made from fresh farm grown ingredients), ), O! (cookies, fudge, chocolates, sushi and snacks all made healthy and with organic ingredients) Danz Bread (healthy multi-grain bread. free from preservatives),Gouri’s (Artisanal cakes, granola, energy bars that are pure and natural. Free from additives. Healthy ingredients),Nutkraft (Caramelised almonds, cashews, walnuts An exciting array to choose from. I indulged myself and felt good about it too! Above all there was a delicious brunch spread by Flamboyante. Something to appease all taste buds- thai curry rice, pastas, salads, soyabean dosas, Indian curries and pulaos, pizzas. Whew! I thoroughly enjoyed the salads and pastas as I did the soya bean dosa. Unique I must say. What’s more, after a sumptuous brunch, one could head to the myriad workshops. Healthy Cooking workshop by Flamboyante Inhouse Chefs, Talk by nutritionist Khushboo Thadani, or a Live Mixology Class. The all new look Flamboyante looks cool. The white & blue Grecian look and a skylight that has an atrium effect makes it stand apart. Amrish Arora has reason enough to be proud. A thoroughly enjoyable Sunday and lots of health food to look forward to the coming week as I had picked up some exciting stuff. Bandra sure is swinging like always. First, Bagelwala and now Quiznos. New food places keep mushrooming in this happening suburb of Mumbai. USA’s popular sub chain, Quiznos, has made their entry in the Indian sub-continent, by opening their flagship franchisee outlet in Mumbai. The cozy, vibrant interiors immediately appealed to me. The staff at the counter is well-informed and takes you through the offerings painstakingly. The concept of all the subs being toasted is good. The breads used for the Subs are exciting. Multi grain, Italian white and rosemary cheese. Yummy. I settled for the Rosemary cheese of course and the chicken carbonara Sub. My colleague tried the Chipotle chicken. Mine was a mildly flavoured sauce, but creamy and with a stringy texture. The other one was spicy and crunchy. The carbonara sauce however tasted different than what it does in a pasta with bacon. But nevertheless, delicious. The Smokey Chilli Chicken Sammie ( a multi grain wrap basically) was good too. In fact, more filling than the Sub. Total value-for-money, I thought. The freshness of the ingredients struck me as I munched through it. Quiznos, is particular about what they serve and they care about the customer’s health. Thank God for that. The subs, sandwiches, sammies are affordable. Equally exciting is the sub of the say offer. What sets it apart from Subway is the choice of a non-veg and veg sub daily. The Hot BBQ chicken salad, was the winner. Crunchy, tangy with succulent chicken pieces in a delectable BBQ sauce. We simply loved it. Never felt more healthy ! Office goers and students are going to love this place. It offers them just what they are looking for. A hearty meal which is tasty and easy on the wallet. And then there are combos too. We may have gorged on the Non-vegetarian stuff only, but the vegetarians have a lot to choose from. Aloo Spinach, Veg Hara Bhara, Paneer Tikka. You name it and they have it in the subs. The menu has Pizzas as well, if you are not too fond of subs and sammies. And yes, you can begin your meal with a Spicy tomato soup or a cream if mushroom soup @Rs 50 only. I loved what I ate and that’s what Quiznos stands for. So it did live upto its promise.